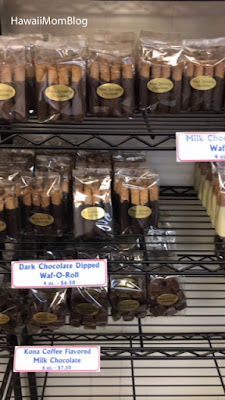 Nadia and I did not have Maui Specialty Chocolates on our itinerary for our day trip, but since we had time, we made a quick stop. We were too late for the popular mochi (they usually sell out early morning), but there were still plenty of chocolaty confections for us to choose from. 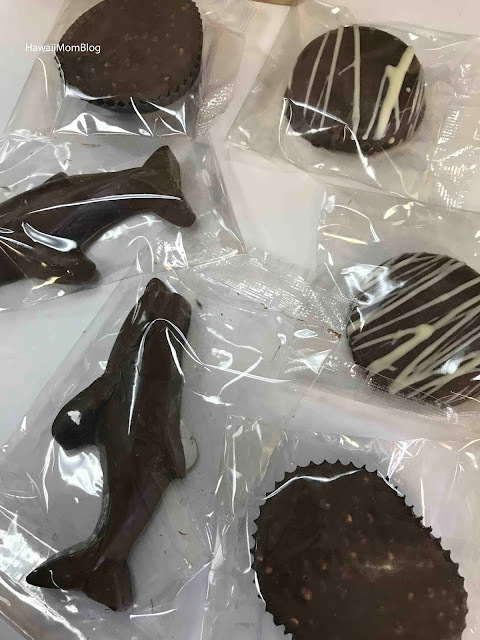 I picked up a couple of boxes of Dark Chocolate with Himalayan Salt, along with individual pieces of chocolate OREO, Dolphins, and Peanut Butter Cups with Rice Crispies. Maui Specialty Chocolates is definitely a must-stop for omiyage!